for engaging in a conspiracy to distribute heroin. 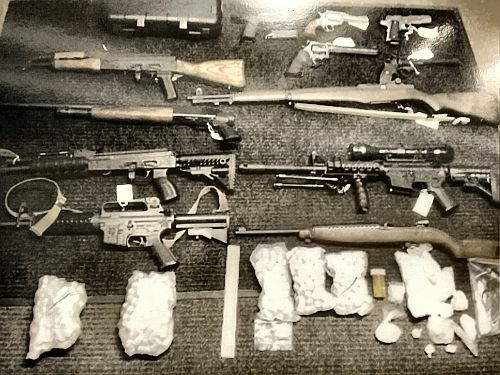 heroin and ½ Kilo of cocaine were seized at Gould’s residence. An additional 2 Kilo’s of heroin was seized at the Rockingham Mall Parking lot in Salem, which was used as a distribution point for the drugs going into Cheshire County.